The article on getting out of debt was submitted by site visitor Reggie P. from Hartford, Connecticut. Eliminated my debt was one of the greatest challenges of my life. Unfortunately in today's world it is far too easy to fall into the credit trap. You can use your credit card quickly and easily at stores, gas stations, even fast food restaurants. It's actually gotten to the point where it's rare to see someone paying in cash. The problem with that is it's very easy to rack up large amounts of debt and get into serious trouble. I was one of those people who relied on credit cards for everything - groceries, gas, daily expenses, etc. I even started charging things like my electric bill. Confide in others that you have a problem with credit card debt. It is one of the first things you need to do for getting out of debt. I was alone in the knowledge of my debt and that only made things worse. Now that more people know about my situation, they understand why I have to say no to things like movies, ballgames, etc. But this isn't enough, you also have to admit it to yourself. Sit down and draw up a budget. Also add up your debt to see just how bad of a problem you have. 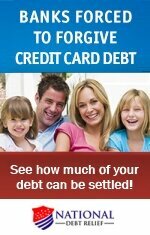 This is a great place to start getting back out of debt. It's not enough to just stop using them. You can keep one small balance card for emergencies, but if the temptation is there, you'll just fall back into trouble again and again. This worked for me. I was able to work with my credit card companies get low interest, fixed payment plans on several of the major creditors (Bank of America, Citibank, HSBC, and Chase). With these plans I was able to get on a reasonable budget and I will also have all of this debt paid off within 5 years. As a side benefit, my credit score will also improve as I pay this debt down. If the credit cards won't work with you directly, work with a reputable credit counselor. Don't use a place that says they can settle your debt for 30% of the balance - most of these are scams. 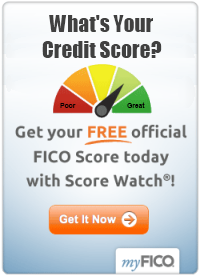 Find a real credit counselor. Most of them offer debt management plans. They will try to work with your creditors to get on a fixed plan. With these steps, anyone can get on the road to recovery. I'm almost a year removed from my lowest point and things are looking much better. My credit score has risen almost 70 points and I have reduced my total debt by over $10K! Good luck!